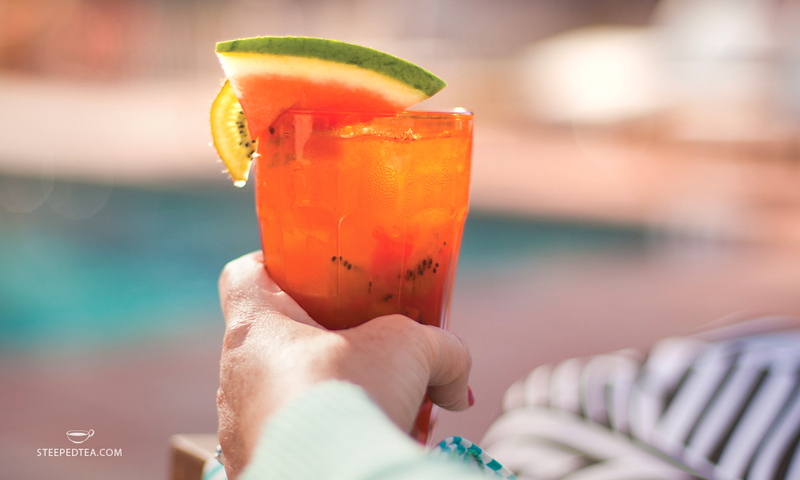 Relaxing by the pool has never been sweeter! This cocktail is a little sip of paradise. Muddle half a kiwi in a martini shaker. Add ice, rum, brandy, 6 oz. of tea and shake.